Hollywood heavy hitter Martin Scorsese is prepared to put out another movie that will most likely make him another contender in the upcoming awards season. The legendary director who has directed classics like Wolf of Wall Street , Taxi Driver , Goodfellas , Gangs of New York and Shutter Island amongst many others is set to release his latest movie called Silence this december. 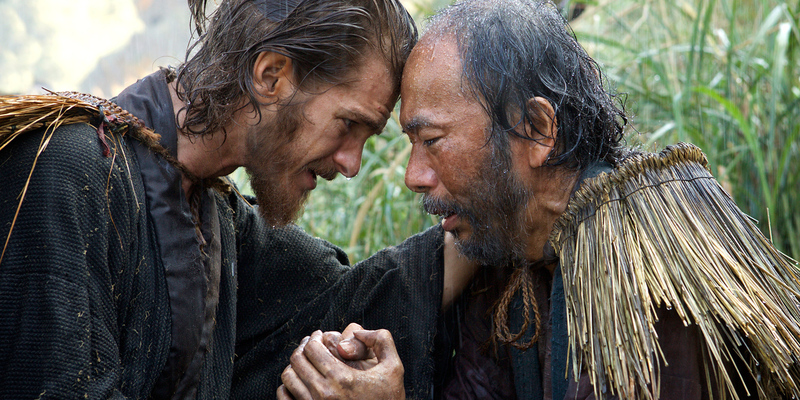 Silence tells the tale of two portuguese missionaries who wander through 17th century feudal Japan in search of their master. They are fully aware that they are walking on thin-ice as the Japanese government has no tolerance for any western influence and seek to get rid of it by any means necessary. The movie stars Andrew Garfield (Amazing Spider-Man ) and Adam Driver (Star Wars : the Force Awakens) as the missionaries and Liam Neeson (Taken) as their master. The film also features Ciaran Hinds (Game of Thrones) Tadanobu Asano (Thor) and Shin’ya Tsukamoto (Ichi the Killer). Paramount studios is set to release it for December 23rd 2016 as a limited release , a popular tactic people do to get their films considered for awards and then make a wide release for January 2017.